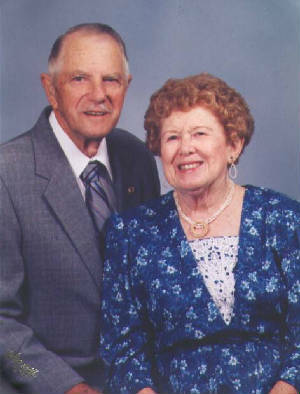 This web site is in honor of two very special people, Paul and Irene White (Grandma and Grandpa). These two were married on June 15, 1935 and this year they will be married 70 years! This is an accomplishment in itself. Over the years, they have been active members in the church and have been an inspiration for all of those who came into their lives. The two have been blessed with one son, Wayne who, is married to his lovely wife Evelyn. They have also been blessed with two wonderful grandchildren (Gare and Rhonda) and three great-grandsons (Brian, Zackary, and Phillip). I hope all who read this will enjoy! The following pages are filled with bits of family history if you have something that you would like to share please send me and e-mail. In addition, I heard allot of people talking about the recipes that they have received from grandma and how wonderful of a cook she is. I would love for you to send me your favorite recipes so I can post them on this site. To me a person who also loves to cook would cherish them as precious family heirlooms. Something to pass from generation to generation.